It is not surprising that Paul begins his list of the fruit of the Spirit with love. In chapter 5 alone he has already emphasized the importance and significance of love. In verse 6 he states that only “faith working through love” counts. In verse 13 he states that the believer’s freedom is to be used in loving service of one another. Finally, in verse 14, he echoes Jesus teaching that the whole law is fulfilled in the command to love your neighbor as yourself. Love is a major indicator of the work of God’s Spirit in our lives. Love, then, indicates spiritual life because it flows naturally from the heart impacted by love. The apostle John makes this point when he says that “Everyone who loves has been born of God and knows God.” He says this because, “God is love” (1 John 4:7-8). When we experience the life changing, and life-giving, love of God then we will naturally begin to love others. 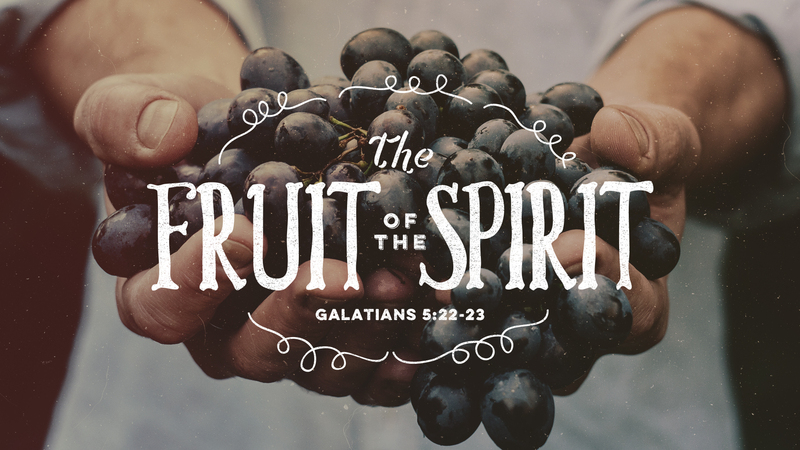 It is a fruit produced by the life of the Spirit in us. What does this look like? Paul gives us a picture through Galatians of service, tangible, lived-out, ordinary, every-day acts of kindness and care for one another. In chapter 6 he speaks of “bearing one another’s burdens” (v. 2). He makes the connection to love by saying that by “bearing one another’s burdens” we “fulfill the law of Christ.” He is, once again, drawing on Jesus’ teaching about the fulfillment of the law, but phrasing it in concrete terms. If love is too abstract, then here, Paul says, I will give you a tangible example: help one another in the struggles of life. It also means “restoring one another” when sin is involved (v. 1), and more generally “doing good” (v. 9-10). Love is concrete for Paul. It is more than just an emotion or positive feelings of affection for one another. Love has an activity about it, an others-oriented service to it. Love makes a real effort in caring for the needs of others. We know this is a fruit of the Spirit precisely because it is the demonstration of God himself. This is how Jesus lived among us. It is how he died. He “demonstrated his love for us in this, while we were yet sinners Christ died for us” (Rom. 5:8). There is not greater love than this: to lay down your life for your friends (John 15:13). Love is the example of Jesus. In fact all the fruit of the Spirit may rightly be applied to Jesus, but certainly we can see that evidenced in this particular fruit. Jesus is the perfect model of love, and those who have His Spirit will demonstrate it in their love for others (John 13:35). Of course loving others, even other believers, can be difficult. Love, like all fruit, will grow naturally by means of the Spirit. Yet, like all fruit it may take time and intentionally to ripen. We want to cultivate this fruit in whatever ways we can. We want to challenge our own selfishness, strive to be humble servants, make acts of kindness an intentional part of our routine, and pray for the ripe fruit of love. Paul even warns the Galatians not to “grow weary of doing good” (6:9), because, of course, that is a real threat. So, love is hard, but it should nonetheless exist among God’s people. As people indwelt and empowered by God’s Holy Spirit, we ought to demonstrate the fruit of love. If God is love, then His children ought to be loving too.